Spring has sprung! FINALLY…spring is here! 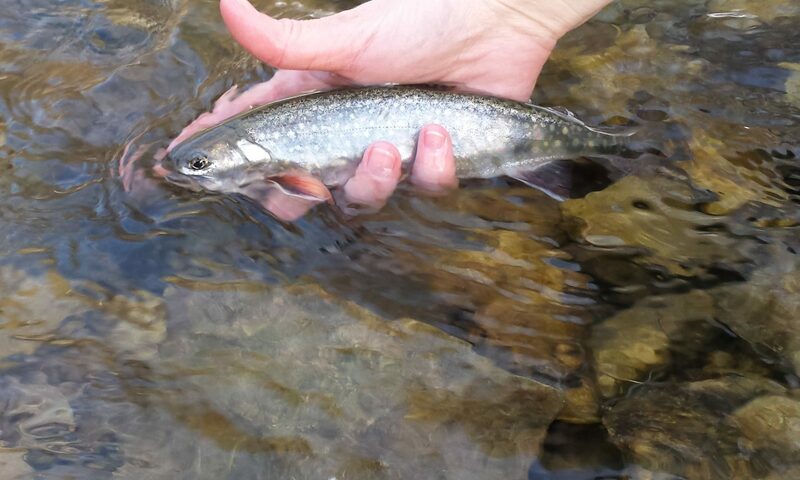 BWOs are abundant and black stonefly nymphs are the ticket. The water is clear with good flow. With the recent rain showers, the green will start to pop. Get out and fish! Before you know it, the nettles and wild parsnip will be here. In the meantime, go trout fishing and mushroom hunting. Happy trails! Live Auction with New England Adventures! New England Adventures (NEA) provides all expense outdoor events for veterans. Liz donated a 3 day trip to support NEA. The trip will be available for a live auction during the 4th Annual Wild Game Dinner. For more information please visit New England Adventures! Driftless Fishers is excited to display a brand new logo! Rain, rain go away! Persistent rain showers keep visiting us in the Driftless area. Streams remain high but clear to cloudy. Silver and gold bead head nymphs are working great! Also, soft hackles below a bead head is a great combo. There also has been sporadic dry fly action using a gnat pattern. Remember, Iowa is open year-round for trout fishing so come and visit us! Tight lines! Liz was featured in the Inspire(d) magazine for Fall 2018! Inspire(d) is a Driftless magazine with positive news from the Driftless Region. The article is titled “Fly Fishing for the Win!” by Aryn Henning Nichols. You’ve got to read this inspiring article about fly fishing and women! Here at our blog, Liz (owner and guide) will hit on topics relevant to women’s roll, experience and love for fly fishing!